‘Migglism’ is a shortened term for Middle Way Philosophy, a practically-oriented framework bringing together developments in Western science and philosophy with integrative practice. 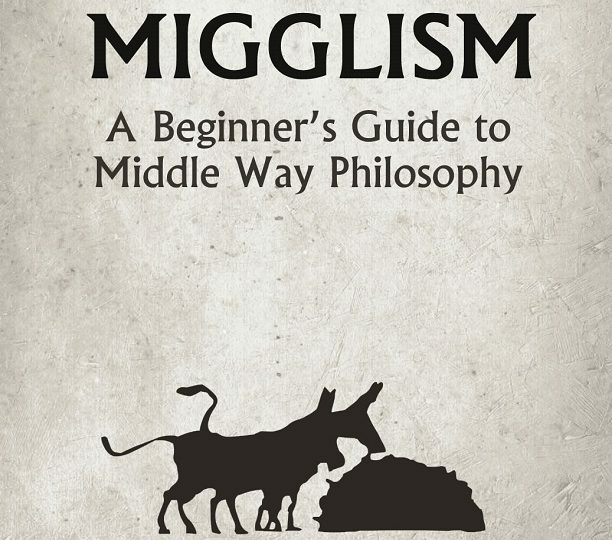 Migglism challenges polarised assumptions in the modern world, and aims to reclaim terms like ‘ethics’ and ‘objectivity’ in a way free of dogma. This introduction is aimed at people entirely new to the approach. The philosophy is made accessible using short, story-led chapters, cartoons, summaries and a glossary. “The middle is the chaotic and confusing place between the extremes. While the extremes are simpler and more attractive, it is the mess in the middle where the interesting and creative activities occur – it is where we should be. Robert sets out a foundation for a way of thinking about the middle ground as a place to move towards.” Ed Catmull, President of Pixar and Walt Disney, and author of Creativity Inc.